Properties for sale around you! Today’s world is mobile… and we are doing everything to follow the trends. What do you think about driving to your favourite neighbourhood, stopping somewhere and simply checking what there is for sale around you in that moment ? This is a new functionality we are providing to all users who want to search for property from their mobile phones (smart phones). 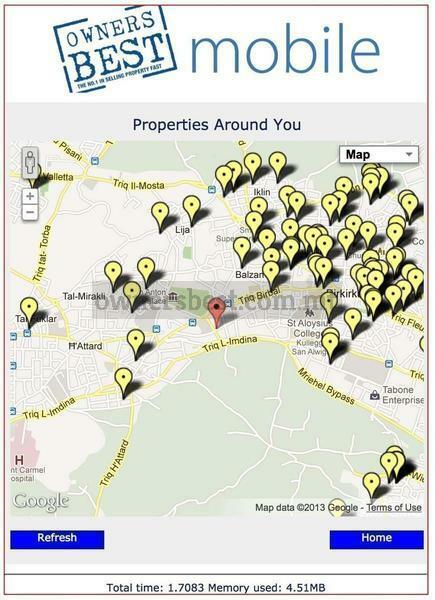 No need to download any application, no hassle… just go to ownersbest website from your smartphone and click on banner “properties around you” and you can see on the map marked red where you are and marked yellow properties for sale around you. By click/touch on the yellow mark of certain property you can see details of that property and most important – owner’s number direct! Good luck in buying … the best properties on the market are waiting for you on the touch of your fingers!